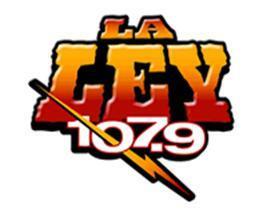 Spanish Broadcasting System, Inc. (SBS) announced that its Chicago station WLEY-FM "La Ley 107.9FM" will be launching a new morning show hosted by internationally recognized and #1 top rated radio personality Ricardo Sanchez “El Mandril”. The new morning show will be hosted by the charismatic Ricardo Sanchez, and his incredible team “Tatiano”, Sylvia Yesenia Gonzalez “La Toluca”, Javier Cisneros “Burbuja”, Primo, Ezequiel Santibanez “Cumborindio”, Jose Cervantes “Lite” with local Chicago field reporter Frumencio “Shaggy” Acevedo who will be keeping the listeners informed of the latest news, gossip, traffic, weather and special events happening in the Windy City.Airing Monday to Friday from 5 a.m. to 10 a.m. (CT) beginning Thursday October 25th, 2012. This exciting and entertaining new show will be hosted by the pleasant and cheerful team of "El Mandril," (The Baboon) with strong local ties to the Chicago community. With the arrival of Ricardo Sanchez "El Mandril," (The Baboon) to WLEY-FM "La Ley 107.9FM" in the mornings, La Ley 107.9FM initiates the new afternoon show with Raul Bernal “La Bola de la Tarde” airing Monday to Friday from 3 p.m. to 7 p.m. (CT) beginning this Thursday October 25th, 2012. This high energy and engaging show will be hosted by the amusing and cheerful trio that captivates the Hispanic community in Chicago. “La Bola de la Tarde” premise will remain the same with well-known on air talent providing a great variety of music, entertainment news, sports and interviews. Each week, Raul Bernal “La Bola” will play chart-topping songs, debut new music and take requests as he welcome listeners to his on-air party. Broadcasting live from Chicago, Illinois, he’ll also discuss music and entertainment as well as feature candid conversations with music artists and celebrities. Raul Bernal “La Bola” will be joined by his famous characters “Doña Mela”, “El Sinaloa”, “El Celayo”, “El Choconostle” and radio personalities Mary Moreira, Liz Liz “La Dama del Deporte” and Julio “Lobo” Hernandez every afternoon on his new time slot. Raul Bernal “La Bola” is a dynamic radio personality with more than 16 years of experience in radio. His charismatic characters have captivated millions of listeners in the United States throughout his career. "El Vacilon del Mandril" with popular Mexican radio host Ricardo Sanchez, also known as "El Mandril," (The Baboon) has been a hit show since its launch on KLAX 97.9 FM La Raza in Los Angeles, California. With his unique style and personality, "El Mandril," (The Baboon) has entertained listeners and his popularity has grown as a result of his interaction with popular guests and friends on "El Vacilón del Mandril." One such guest, the ever loveable "Tatiano," has helped the show's popularity skyrocket. "This country has given me the opportunity to make my mark on KLAX-FM La Raza 97.FM and in other 26 stations across the country where I’ve strengthen my career in the States. I want to give my listeners the best radio entertainment available now in Chicago," said "El Mandril." "Ricardo has developed a great listener base in Los Angeles. We're thrilled to introduce him to the Chicago market," said Jeff Delgado Local Sales Manager of WLEY-FM “La Ley 107.9FM” for SBS. "We're certain that Chicago's Spanish-language listeners will appreciate his humor that will keep them entertained every morning." Ricardo Sanchez "El Mandril," (The Baboon) has crafted a radio format all his own. Every Monday through Friday millions of listeners from all walks of life phone in to share their problems. Known for his jokes and funny improvisations, mixed with matter-of-fact advice, callers seek "El Mandril's" insightful words of support and guidance to continue with life's everyday demands. His "laugh medicine" has provided daily doses of remedies for those who are ill and seek hope. He is a devoted humanitarian who has raised millions for communities worldwide. His radio show has become an outlet for many Hispanic immigrants who do not have a forum to voice their opinions and express their thoughts. Ricardo's popularity is unmatched in the U.S. Hispanic community. As he continues to top the Arbitron ratings, he is not only a trusted idol with enormous popularity, but a huge force in the entertainment arena. Ricardo is sure to prove once again that that not only does he have star-power; he has the unquestionable loyalty of a powerful minority group in the United States. "El Mandril’s show fits perfect with our vision and strategy and is what listeners have been asking for in Chicago," said Jesus Salas, EVP of Programming for SBS. "El Vacilon del Mandril” show will reflect the local Chicago’s flavor where Mandril popularity will connect one-on-one with its listeners." Albert Rodriguez COO of SBS commented, "As 'El Vacilon de El Mandril' attracts new listeners in Chicago, we are confident that audiences will choose this morning program over long time favorites, as he’s a loved personality for the Hispanic community. The Hispanic community is growing rapidly and SBS Chicago will continue to provide quality, compelling entertainment to satisfy its listeners."